Are you travelling to Corfu with a few friends? Do you have a special occasion that you want to celebrate with something unique and perfectly Greek? Or perhaps you just want a day entirely to yourselves with the space and freedom to relax in the crystal clear Ionian Sea and do as you please? In addition to her daily routine, Nautilus also offers exclusive private trips to those that want total privacy and comfort. 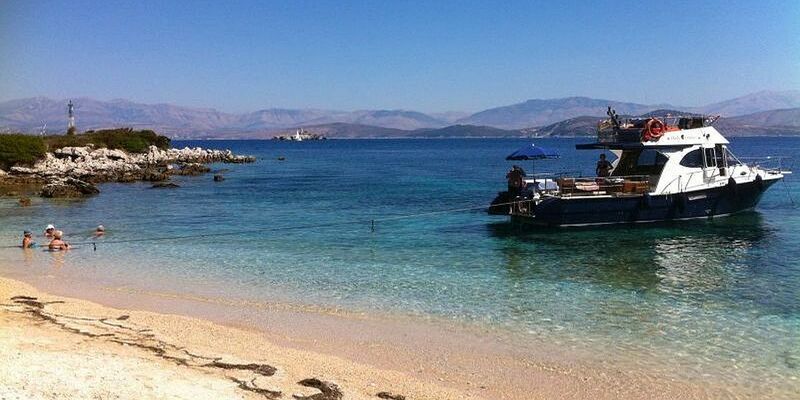 We can simply take you for a delightfully leisurely cruise to your favourite taverna and/or beach. 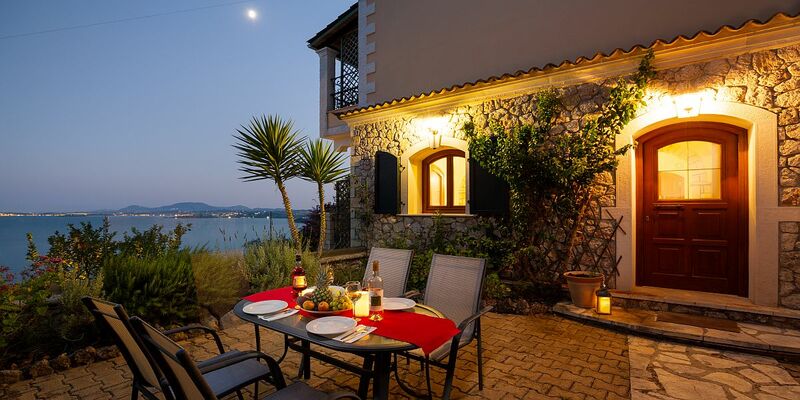 We can arrange a trip to Vidos island or Corfu Town. We can provide a full barbeque meal aboard, or in true al fresco style, on the beach! 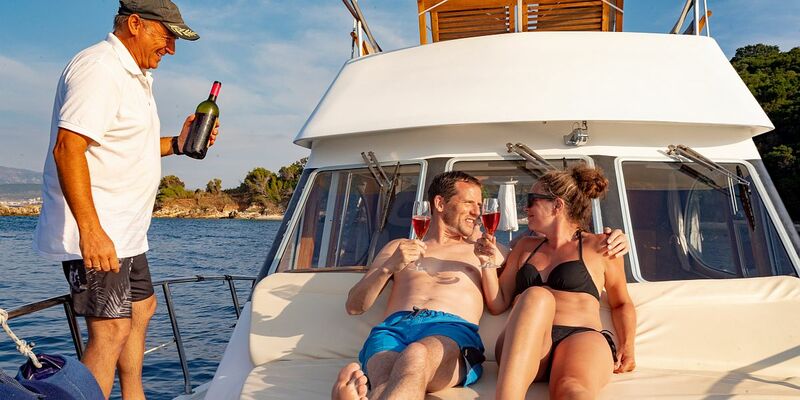 If you will be celebrating a special event in Corfu, such as an anniversary or birthday, we can decorate the boat with balloons and streamers to add a bit of colour and fun or on special request we can organise fresh flowers. A wonderful way to spend the day, just let us know what you would like, and we will arrange it. Prices from 600 euros per day depending on party size and requirements. Please contact us for further information.